LAS CRUCES, N.M. (Aug. 12)-The New Mexico State men’s basketball team meets Hawai’i in a nationally televised game on ESPN2, Nov. 12 at 3 a.m. (MT) in Honolulu. It is one of the featured games in ESPN’s 24-Hour Marathon. The Aggies open the season at the tournament in Hawai’i and also play Western Michigan and Tennessee State (Nov. 8-9) with specific dates and times to be announced at a later date. 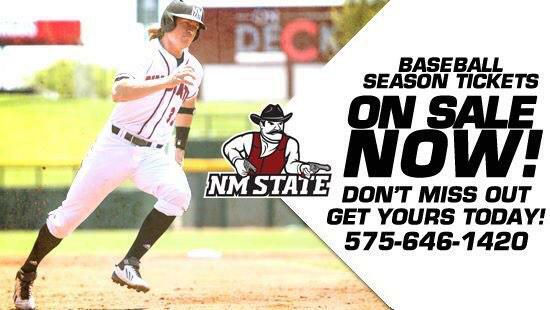 NM State returns nine players including three starters from the 2013 WAC Tournament Champions. The Aggies finished with a 24-11 overall record en route to their second straight appearance in the NCAA Tournament in 2012-13. New Mexico State at Hawaii, 5 a.m. ET, ESPN2: There are many, many benefits to being in Hawaii and its time zone is typically not high on that list. But the Warriors' unique geography also makes them a yearly inclusion in the Marathon. At this point, 5 a.m. ET might as well be called the "Hawaii Slot." This year's edition of the Hawaii Slot features one of the more consistently successful and frequently slept-on mid-majors in New Mexico State, where Marvin Menzies has won 50 games over the past two seasons (and has been to back-to-back NCAA tournaments). Expect to hear a lot about Sim Bhullar, who is not your average NMSU player: He's a 7-foot-5 Canadian-born son of Indian parents whose unique background (and sheer size) won him cross-cultural hype from the New York Times before he played a minute of college ball. The good news? Bhullar was good as a freshman, when he shot 62.1 percent from the field and grabbed 12.8 percent of available offensive rebounds. The dude can play, and you can see him do so live -- as long as you can get up early (or stay up that late).